So sweet and for someone who doesnt like big jewelry. 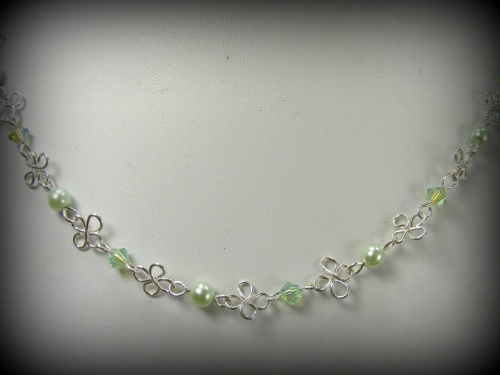 This piece is made from mint green glass peals and mated with Swarovski Austrian green crystals. Piece measures 17" and comes with complimentary matching earrings.